Banedanmark, the Danish railway network company is building a new dual-track, electrified railway running from Copenhagen to Ringsted via Køge. The line will be Denmark’s first high speed railway and will reach up to 250 km/h for passenger trains. This new railway connection will also mark the beginning of a new urban development scheme in Køge Northern area: Køge Nord Station, providing a much-needed boost to public transport to and from Copenhagen while connecting two important railway lines that will be built in the same area. With this project, the area will become a regional transport hub and will accommodate large park and ride facility. 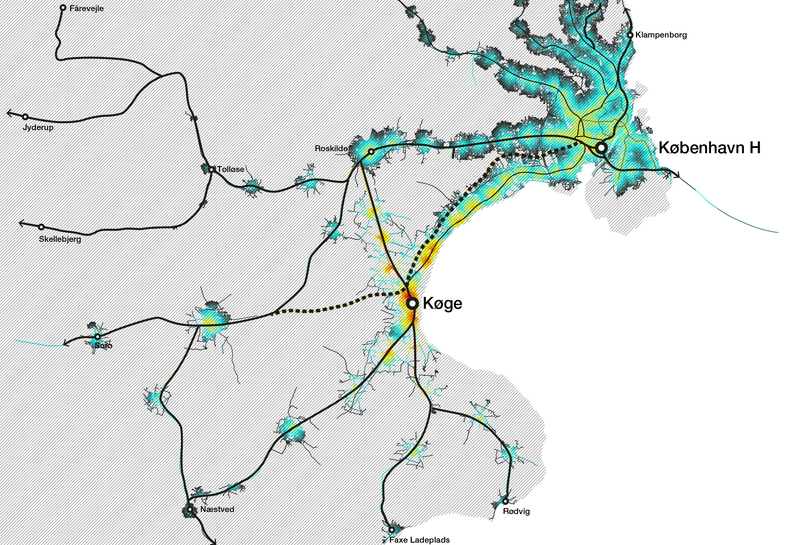 In this project, Systematica acts as a specialist consultant to tackle mobility and transportation issues, mainly the implementation of wide-area and micro scale analysis regarding pedestrian, vehicular and railway network’s flows. Also spatial planning of the new train station facilities which will provide guidelines necessary to the design of the new station, park and ride facility and also a pedestrian bridge connecting two different train stations. Systematica will also conduct studies to provide the best transition between planned park and ride facility, bicycle parking spaces and the pedestrian bridge.